Thanks to his sermon at the wedding of Prince Harry and Meghan Markle, the world knows who Bishop Michael Curry is and knows his message. A few weeks ago, he worshiped with us at the Evangelism Matters 2.0 conference in Cleveland Heights. Yesterday, he was doing the weather with Al Roker on the Today Show. On my social media feeds, a question keeps coming up again and again: What do we do now? There are lots of things we can do, so let’s start at home. 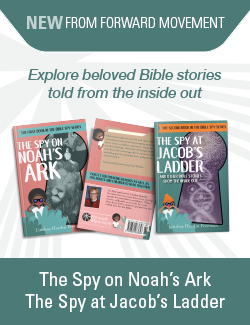 View the sermon with your kids. At my house, we had great aspirations to get up and watch the service but overslept. Knowing Bishop Curry, I knew he would amaze all who heard and read his words. I also know reading them isn’t the same thing as hearing them. AT ALL. We watched the sermon online. 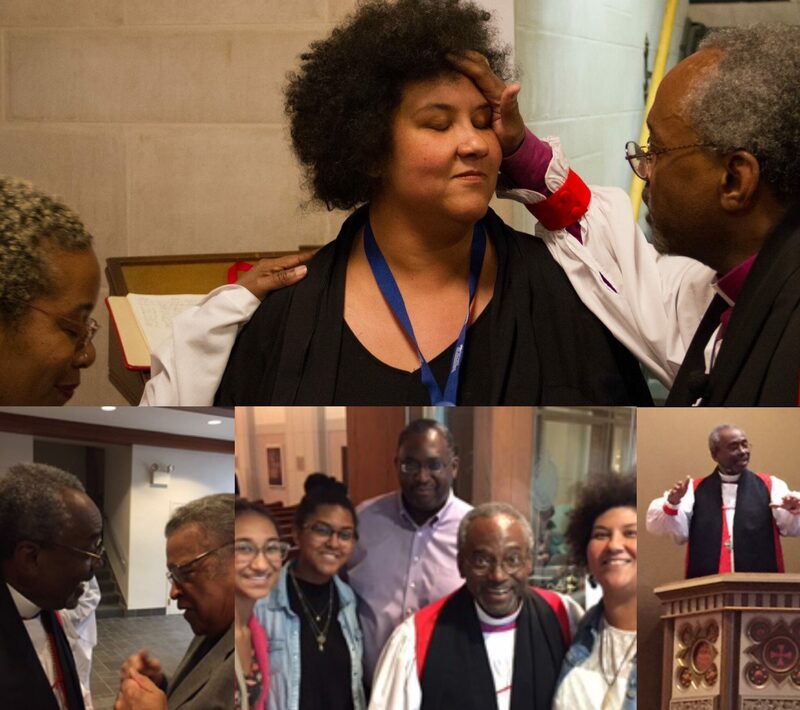 The girls have met Bishop Curry; he and my dad are old friends. Still, they watched with awe. I encourage you to view the sermon with your young people. Let them see their Presiding Bishop and hear his message. Talk about the message of love, and don’t shy away from robust discussions. My middle daughter graduates from high school tomorrow. My mother-in-law, with whom I was very close, died two nights ago. Our family is traversing the vast realm of feelings and emotions right now, and a lot of it doesn’t make sense. We feel guilty for feeling happy; we feel guilty for crying all the time. We feel like we’re struggling to connect our feelings. That’s where Jesus comes in. No matter what Jesus went through, he worked hard to understand his legacy of love through death and resurrection. Jesus consistently preached love through pain and struggles. He loved the least of us. He prayed continuously. Focusing on love is grounding my girls. Concentrating on love helps us step out of our pain and into the lives of others who need us. As Bishop Curry keeps reminding us, love answers many of the questions we have in our daily lives, from the little things to the major milestones. Keep talking about love, especially after the media storm ends. There will come a moment when Bishop Curry’s sermon won’t be the hot topic of conversation. The good news for us is that we can easily access the message of love that he preaches. Many of us who have heard Bishop Curry preach repeatedly make predictions about the kinds of things he will say because he repeats himself as all good teachers do. Think about when you learned multiplication. Did you practice once? Of course not! You did drills. You counted coins. Your teacher retaught those concepts until you could quickly answer 7×6. (42, right? Right.) We need to hear Bishop Curry’s message, also known as Jesus’s message, over and over again until it flows from our lips as smoothly as it does from his. Do not stop talking with your kids about love. And when you need to train the trainer, Bishop Curry is only a click away. I’m so thankful to be a part of The Episcopal Church right now, but not because Bishop Curry was on TMZ and The View. I’m grateful that we have a Presiding Bishop committed to a transformative message from a transformative teacher named Jesus. That message is the most basic and intricate of our lives: Love is the way. Every day. How will your children grow to understand the complexities of that message? How will they know the basics? They have you, showing them love every day. How do you show and share love with your children each day? Miriam, I’m so grateful for your post. Prayers for your family in your fresh grief, and gratitude for the reminder to keep the Preacher Bishop preaching and teaching the Way of Love to our children. Thank you, Ruth! We appreciate your prayers.